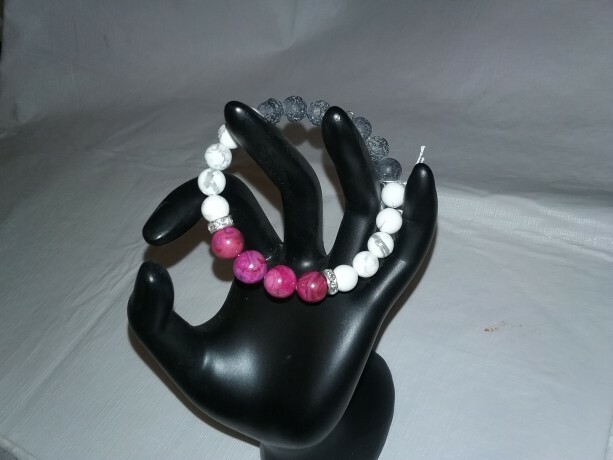 Size: 7" average Materials: Flex Metal Gemstone: 8-10 mm with silver clear rhinestones Pink Tourmaline: is about life-force energies, imparting vitality and a zest for life. It releases guilt, worry, depression and anxieties, and guides those emotions into self-love. Howlite: is white with grey veining. 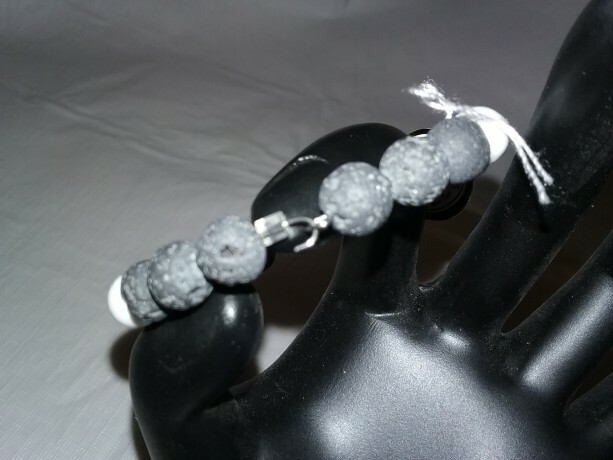 It is a super-calming stone and many people use it to relieve stress of all kinds. It makes an excellent antidote to insomnia due to an overactive mind. 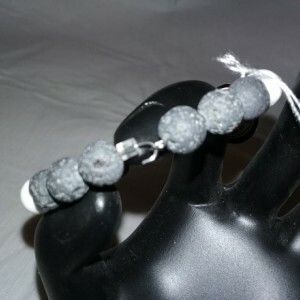 What is a Flex Bracelet: It is Stainless Steel Flex wire - kinda like the toy called Slinky was made from. It adjusts to all wrist sizes and you can bend it without breaking it. There is a hook on the back of the bracelet to secure it closed - see one of the pics.